I served this sauce along with Baharat Lamb Lettuce Cups, prepared at Farm Day with Thames Farm pasture raised lamb. 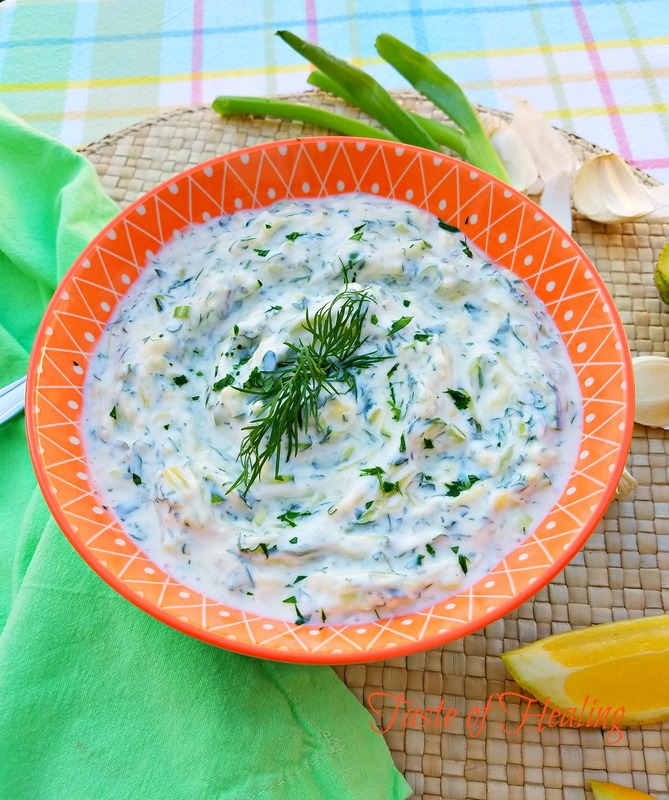 A new twist on a classic recipe, Tzatziki sauce made with zucchini instead of cucumbers! This version of Tzatziki sauce holds up quite well, up to three days in the refrigerator.